‘Tensei shitara Slime Datta Ken’ Season 2 Release Date, Spoilers: How Will Rimuru Become a True Demon Lord? ‘Black Panther 2’ Release Date, Latest News: Sequel Confirmed by Chadwick Boseman, Director Ryan Coogler’s Marvel Contracts? ‘Black Clover’ Chapter 203 Release Date: Licht and First Wizard King Teaming Up to Defeat the Demon? Meghan Markle, Prince Harry 2019: Is Palace Truly Sending Royal Couple to Africa After Duchess of Sussex Gives Birth? 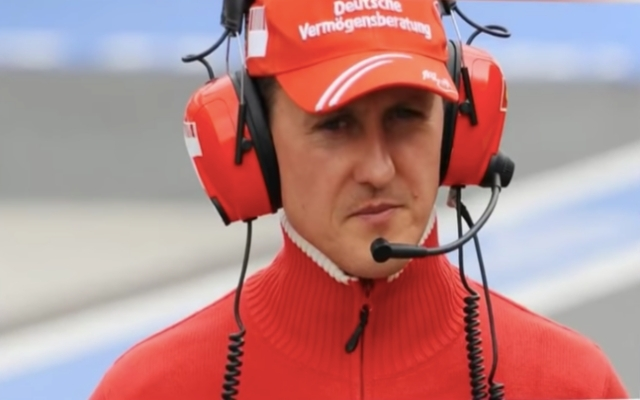 Michael Schumacher has been left in a heartbreaking health condition after his skiing accident in 2013. The mishap left him bedridden for a long time, and he was in a coma for months. A doctor, however, said that these could have been avoided. Dr. Christoph Goetz, the chief spinal and neurosurgery director at the Asklepios Klinikum in Harburg, Germany, said that individuals who have records of vertebral injuries are usually advised against doing dangerous sports and this includes skiing. By avoiding such types of sports, the person will eventually avoid further damage to his condition and ensure that his health will be at its best. This caution is actually applicable to Michael Schumacher as he previously had accidents that left him with various injuries such as damage to the left side of his brain in addition to neck and vertebrae injuries. Dr. Goetz said that, if only the F1 champ’s doctor had forbidden Schumi from doing high-risk sports, then he could still be very active and walking right now. "It would be conceivable that patients with vertebral injuries are advised to refrain from highly risk-prone sports because of the risk of injury," the doctor explained. It can be recalled that in 2009, Michael Schumacher got involved in a motorbike accident during Cartagena (Murcia) race. As reported by ThinkSpain, the right side of the racer’s brain was damaged after falling off from the bike at high speed. Then again, it is not certain if Michael Schumacher was advised not to try risky sports again or he simply ignored his doctor’s opinion that is why he still went on a skiing outing in the Alps, four years after his motorbike crash. Most probably, his brain damage got worst when he hit his head again in that freak skiing accident. Meanwhile, Michael Schumacher just celebrated his 50th birthday a little over a week ago and, in celebration of his special day, his family finally issued their first statement after being silent with regards to his health condition for a long time. Via Facebook, it was shared that Schumi is happy and receiving all the care that he needs.